Former Borussia Dortmund, 1. 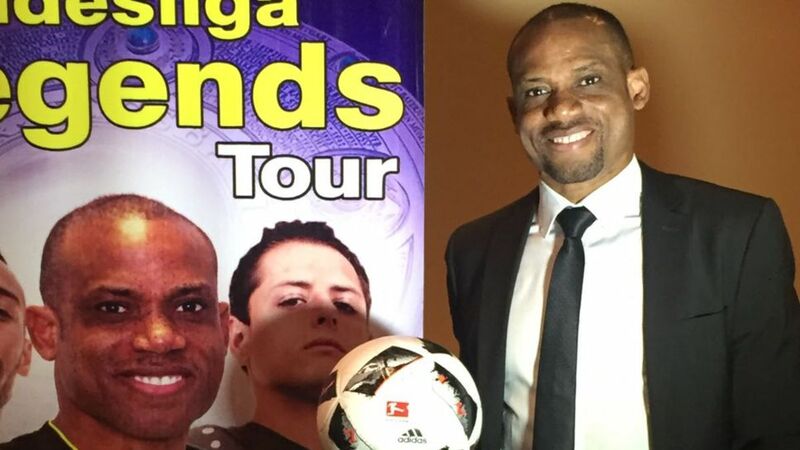 FC Köln and VfL Bochum 1848 star Sunday Oliseh stopped off in Kenya on Tuesday as the official Bundesliga Legends tour in Africa continues apace. The 42-year-old former midfielder conducted a press conference in the Kenyan capital, Nairobi, as part of the tour to promote Germany’s top flight across the continent, sharing some of his unique experiences and memories of the Bundesliga with the assembled press.